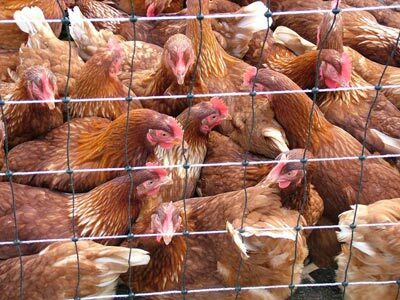 CHICAGO – Poultry veterinarians in Minnesota believe an outbreak of avian flu has spread between farms, indicating the implementation of a US strategy to contain the deadly bird disease failed in at least some cases. Wild birds are thought to be carriers of the flu virus, which can be tracked onto poultry farms by people or trucks that come into contact with contaminated feces. It may also be carried into barns by wind blowing in contaminated dirt or dust. US and state officials had thought that quarantining infected farms and killing birds would prevent the virus from moving to neighboring farms. However, veterinarians now think the disease was transmitted between farms, Bill Hartmann, executive director of the Minnesota Board of Animal Health, told reporters on a conference call. He did not have more details. The US Department of Agriculture, which until now has focused on water fowl spreading the bird flu, is investigating “the potential transmission of virus between operations,” a spokeswoman said. There are a number of ways the virus may be introduced to farms, she added. Virulent H5 avian influenza strains have spread to 14 states in five months and affected about 26 million birds in the worst outbreak of the disease in US history, according to the USDA. In Minnesota, the biggest US turkey producing state, delays in the killing of infected poultry flocks may have led to “a couple of cases” of the flu spreading from one farm to another, said Steve Olson, executive director of the Minnesota Turkey Growers Association. Delays could have kept the virus on infected farms for longer than desired, allowing the wind to blow contaminated particles to a nearby facility, he said. Government officials hire workers to kill birds from infected flocks, and normally try to kill them within two to three days after infections are confirmed, Olson said. Minnesota was “a few days behind at some point” on culling infected flocks, but has since caught up, he said. Wednesday was the first day since April 15 when no new infections were reported in Minnesota, the state’s board of animal health said. Last month, on a conference call about Minnesota’s outbreak, John Clifford, the USDA’s chief veterinarian, said the agency was preventing the spread of the disease between farms.